i've been growing it for months and it finally rests about 2 inches below my shoulder line. i don't know whether to just chop, color, beg and plead libby to stick extensions in ... or what. i think some of it came from my LOVE of mandizzle's headbands. you can buy them in her etsy shop here (or click on picture). i loveeeee the silver ropey one. 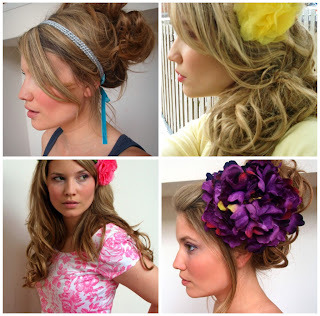 plus that girl has SO MUCH BEAUTIFUL HAIR. i'm envious. and while i don't watch greys or private practice, i LOVE kate's hair and i'm thinkin about goin red. or at least short again like her mid-length bob. i love that gorgeous copper red color. hmmmm. that takes more deciding though. check out these two jackets from forever21. over a cute dress, or with a fun pencil skirt. yesssss. anyway...i'm headed to the coast so i'm gettin my crazy self outtahere. I think mid-length bob with bangs and red would be so fun! I think it would look great! Love Mandizzle!! Just haven't figured out which one to order yet. 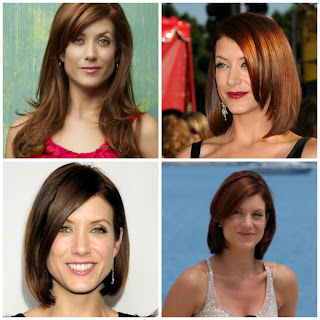 LOVE Kate Walsh's hair!! Tyler has the same color and I wish so bad (sometimes) that I had it too so 1) i looked like his mom, and 2) so i could have kate walsh hair! There was no warning this time, but I still should have known what this was going to be about when I saw the pictures. Nevertheless, I finished the post. you could totally rock that. also, i vote right jacket.